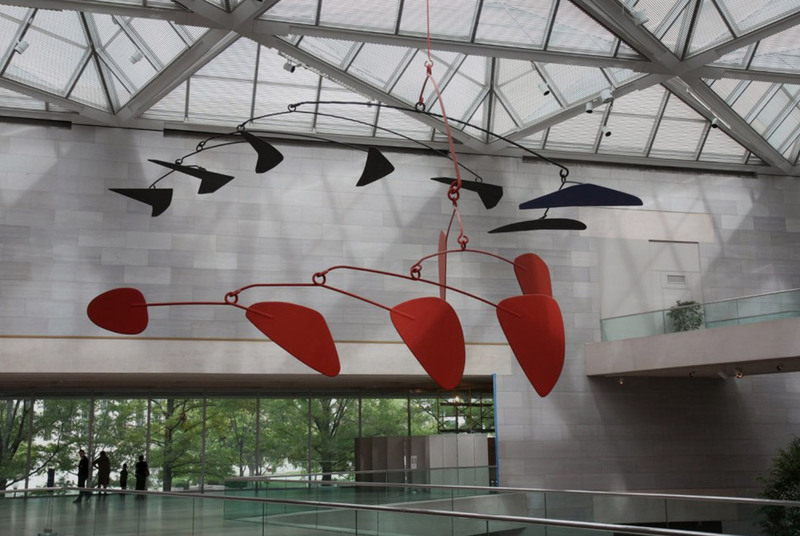 Alexander Calder is recognized as the originator of the artistic mobile and his work has been selected for exhibition around the world. 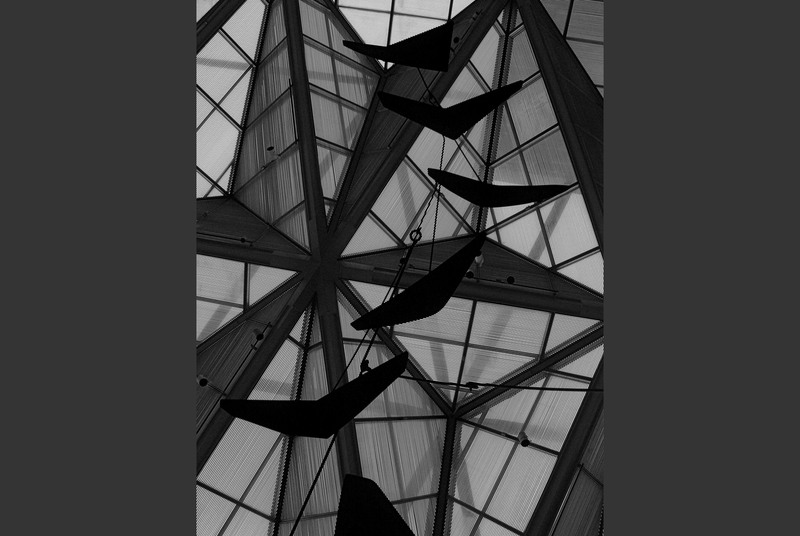 Stability of a mobile is achieved through precise balancing of the individual components of the piece. 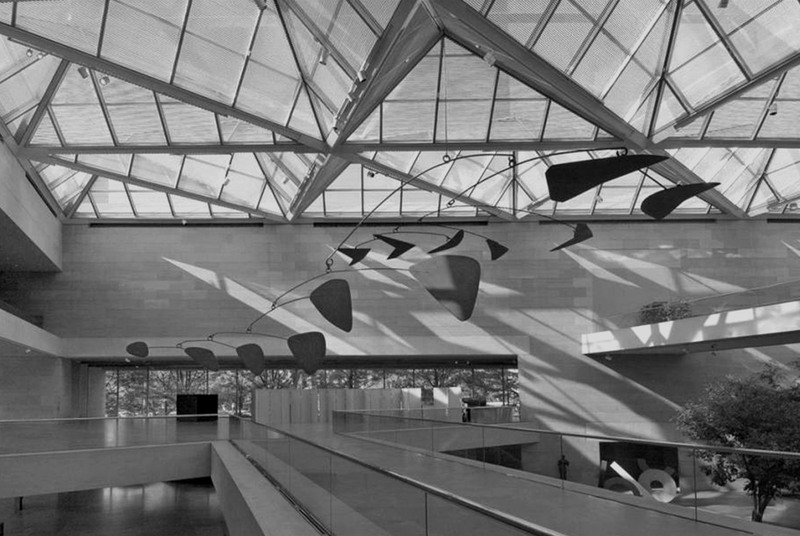 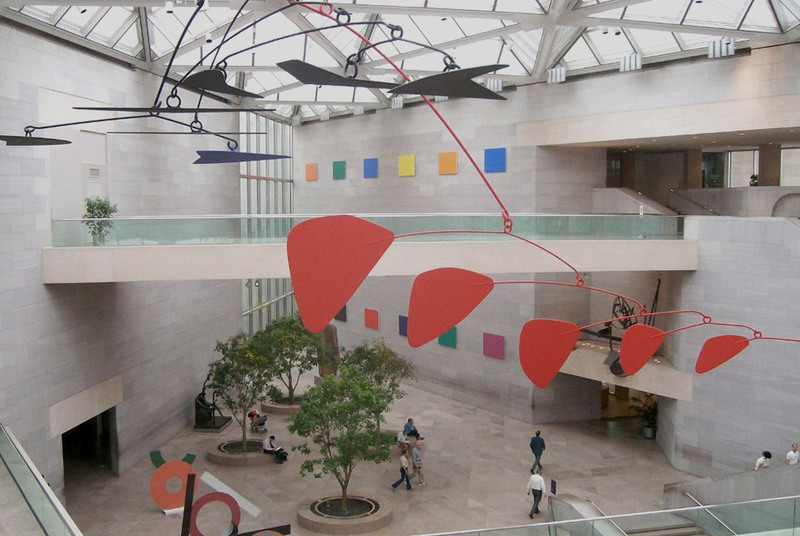 LeMessurier was engaged to consult on the enlargement of a smaller Calder piece so that it could be hung at the National Gallery of Art, where it remains on display to this day.